Redpath has a new May in Bloom contest! The sun shines, the snow melts, the flowers bloom, spring is here! Enter to win a Prize pack all about flowers is the perfect way to celebrate May. 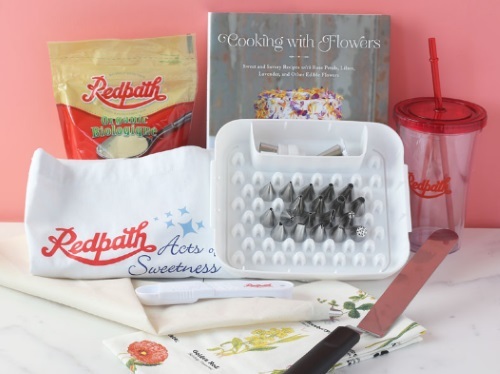 Prize includes deluxe decorating tip set, piping bag, angled spatula for icing, flower dish towel, Cooking with Flowers book. Contest closes May 14, 2016.